Whether you run a small or a large business, in order to be successful, it is imperative to keep track of your finances accurately. In the current macroeconomic scenario, it is advisable to have cost-effective strategies in place to understand the true financial standing of your business at any given time. Maintaining accounts and preparing accurate and timely taxation documents can turn out to be quite cumbersome. Several companies end up spending more time managing their accounts than managing their business functioning. In order to save on your precious time and resources and to stay well informed about your business finances, it is vital to employ a professional Woodside accountant to ensure smoothness of your business operations. 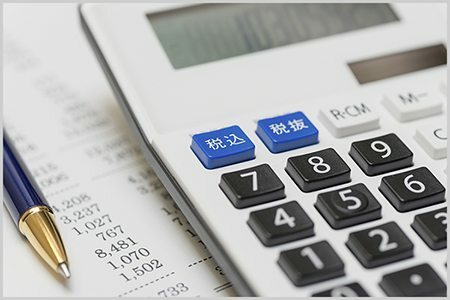 Woodside accounting services are business specific and are different for small businesses, corporations, sole proprietorships, partnerships and limited liability corporations. Most accounting firms cater to the needs of their clients by providing the following types of accounting services. Recording day-to-day financial transactions of any business is called bookkeeping. Efficient book keeping ensures keeping an effective vigil over your business earnings and expenditures. This constitutes preparing detailed financial reports of your business in order to take well-informed business decisions. Planning ahead signifies prudence. Financial forecasting is a crucial step towards planning the future of your business and is based on your past and present financial situation. It is crucial to comply with the latest taxation laws and adhere to all the necessary formalities while preparing and filing your tax returns. Handing over the process to a team of certified accounting experts will ensure that your tax returns are managed efficiently. Complying with VAT regulations is a difficult process and must be best left to accounting experts in order to avoid over or underpayments. This document stays internally with the accounting department of your company. It lists the accounts in a general ledger such as balance sheet and revenue statement and provides the respective balances at any point in time. The objective of preparing trial balance is to ensure that the debit and credit balances of a particular company tally at a given time, for instance quarterly, half-yearly or yearly. This financial statement is a quarterly, half-yearly or annual report of all the assets, liabilities and shareholders’ equity for distribution to outsiders. This is prepared in accordance with GAAP and is one of the most significant accounting services provided. Professional Woodside accountants employ modern standardized procedures that streamline your accounting practices. Modern accounting firms employ personnel, skilled and experienced at key accounting software like QuickBooks. It is very important to hire the right service for your company to keep your valuable accounting information secure and confidential at all times and execute accounting functions with utmost ease and proficiency.